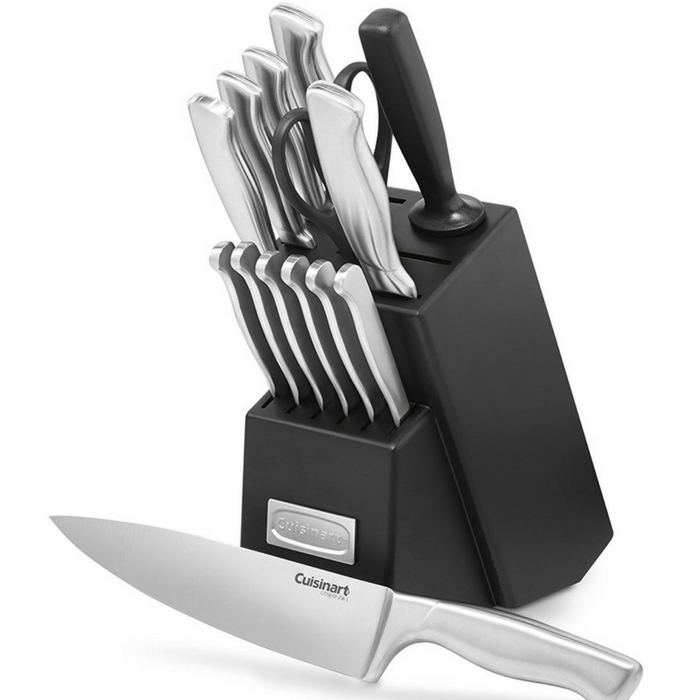 Cuisinart 15-Piece Knife Set Just $49.99! Down From $130! PLUS FREE Shipping! You are here: Home / Great Deals / Amazon Deals / Cuisinart 15-Piece Knife Set Just $49.99! Down From $130! PLUS FREE Shipping! Amazon has this Cuisinart 15-Piece Knife Set on sale at for just $49.99 down from $130 PLUS FREE shipping! Variety of innovative new knife and block styles let home cooks customize their cutlery collection. These knives are crafted with superior high carbon stainless steel blades for precision and accuracy. They have a strong durable bolster for perfect stability and control. Ergonomically designed stainless steel handle provides comfort and support. Block set comes with six 4.5″ hot-forged steak knives you can be proud to use at the table. Makes a great gift!